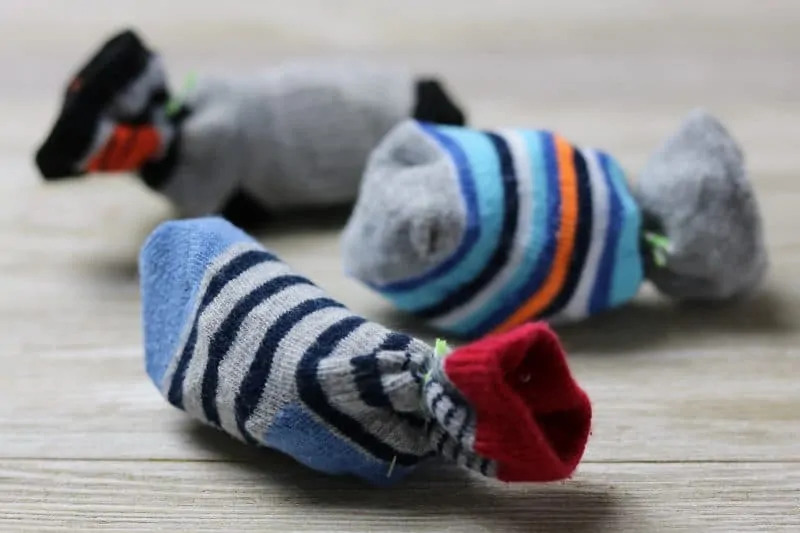 I will show you how to make cat toys using old baby socks. 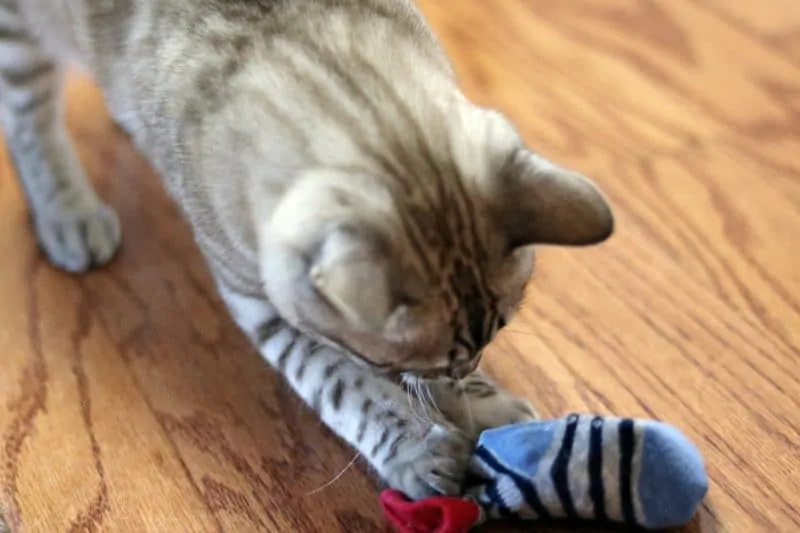 These homemade cat toys are easy to make and perfect for using at home or donating at animal shelters for the cats to enjoy. Are you a cat-lover looking for a way to help cats in shelters, without adopting another cat yourself? There are actually many ways that you can help support cats in shelters. 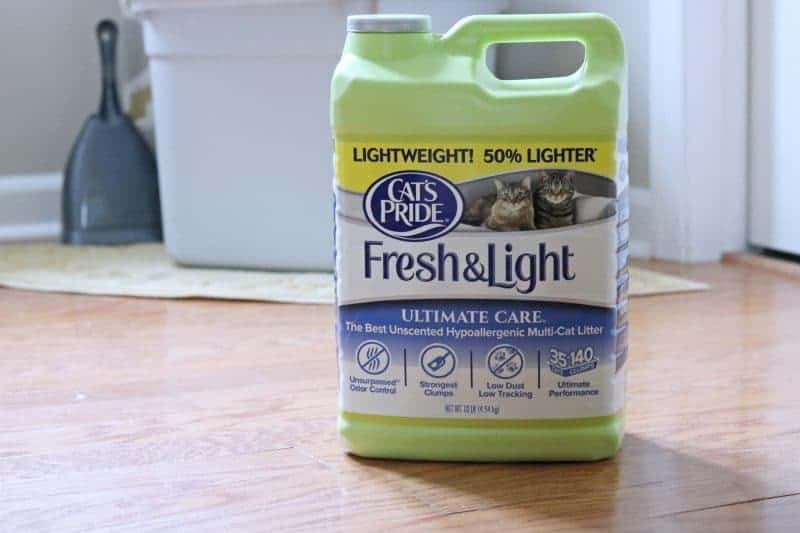 One easy way that I have found to help cats in animal shelters is by purchasing Cat’s Pride® litter for my cats at home. 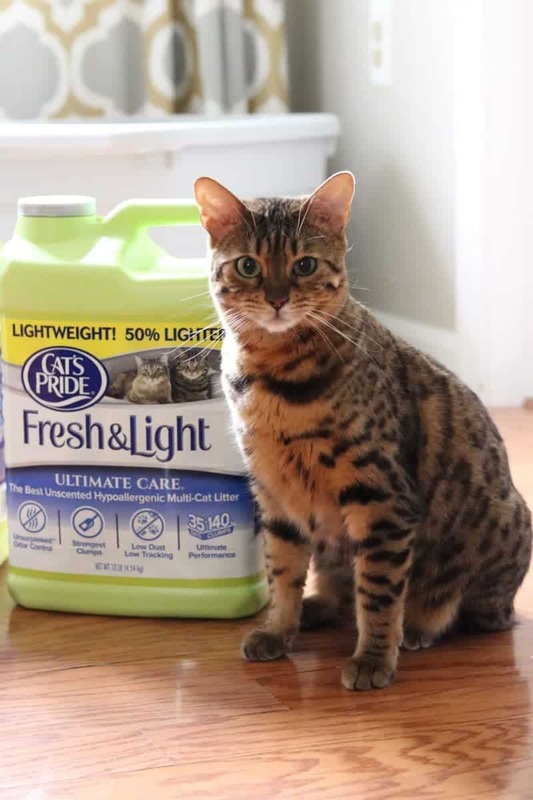 With the Cat's Pride Litter for Good™ program, each green jug of Cat's Pride Fresh & Light® litter purchased, Cat's Pride donates 1 pound of cat litter to an animal shelter. 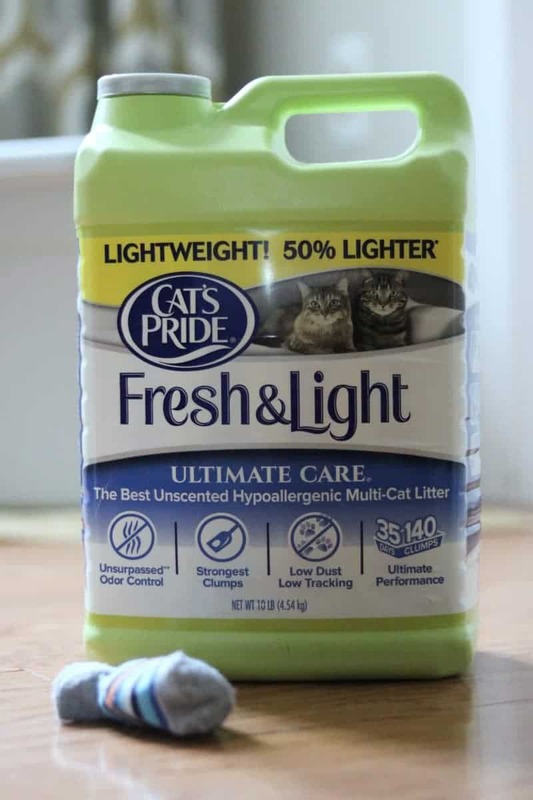 Animal shelters are constantly going through litter, and I love how committed Cat's Pride is to cats in need. 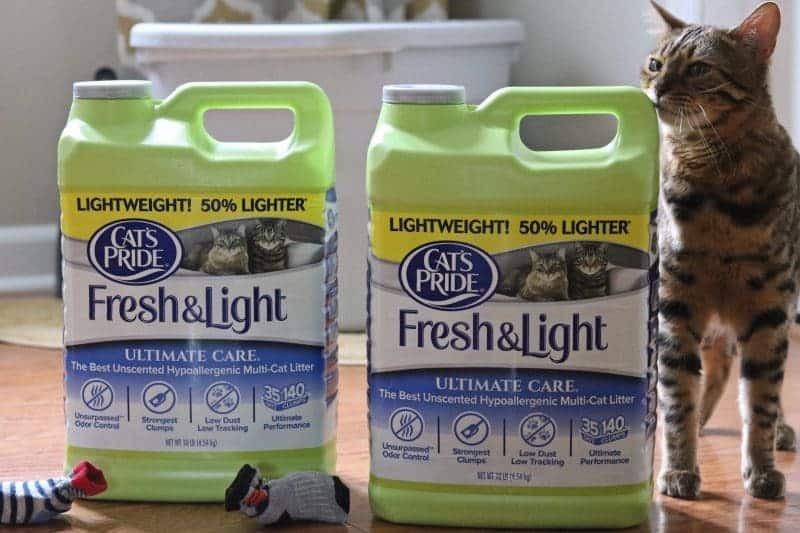 Plus, Cat's Pride Fresh & Light litter is simply a great choice of kitty litter, even without considering their awesome Litter for Good initiative. 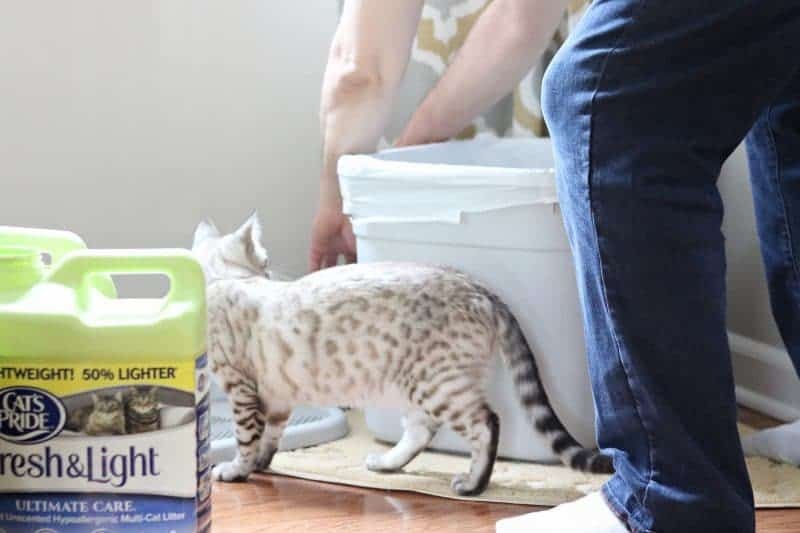 It doesn't send puffs of dust into the air as we fill the cat's litter box, it is strong clumping which makes it easy to scoop, and it is great at keeping odors at bay. 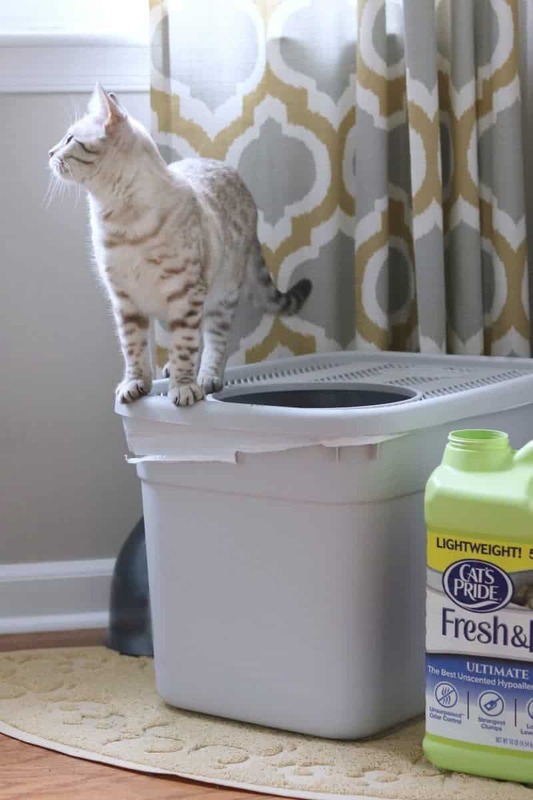 With all these benefits, the decision of which cat litter to purchase for my cats is simple! 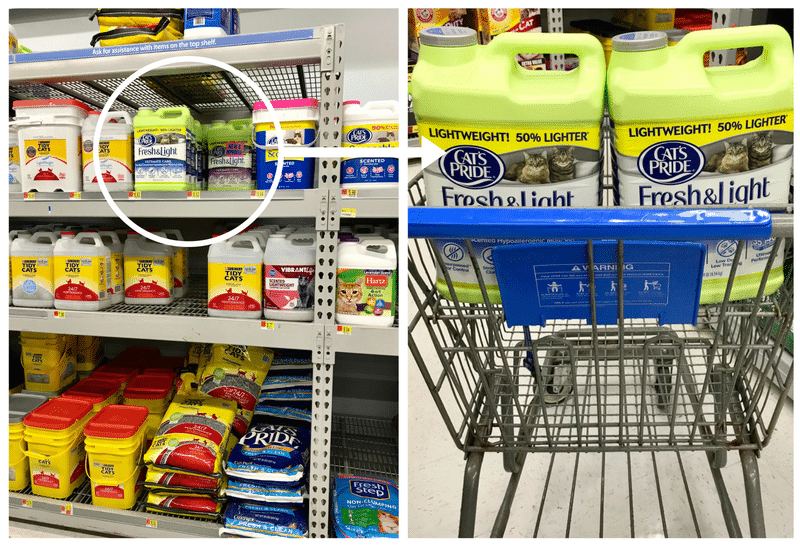 Another way to help cats in shelters is to donate goods yourself. Cat shelters can always use items such as blankets, cat food, and cat toys. Today I want to share a super easy-to-make homemade cat toy idea with you that is great for making in bulk to donate to your local shelter. 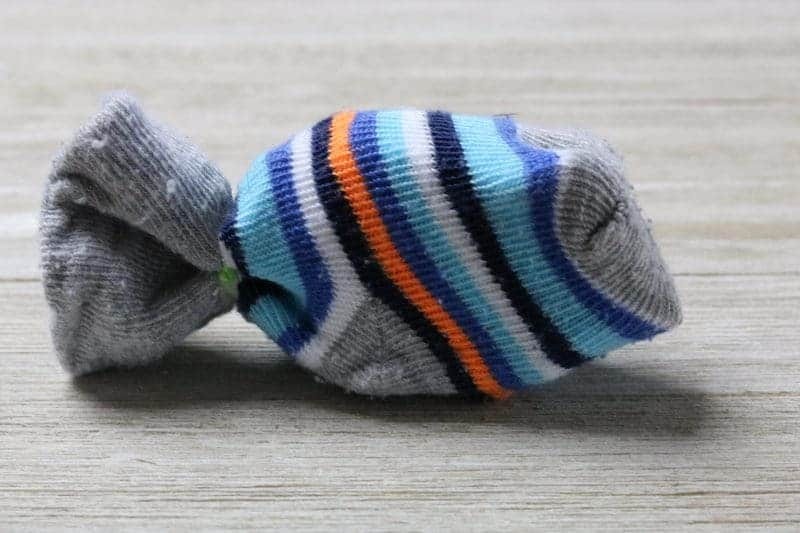 I decided to use my son's old mismatched baby socks to make some super simple DIY cat toys. Now I will warn you, I didn't get fancy here. I kept the cat toys very simple. I will let you in on a little secret — cats don't care how pretty their toys look! There are millions of cats in animal shelters, and I am sure they many of them would love to have a cat toy to play with – any cat toy. They don't care if it it has fancy fabric and nicely sewn details. So feel free to be like me and keep it simple. First things first. 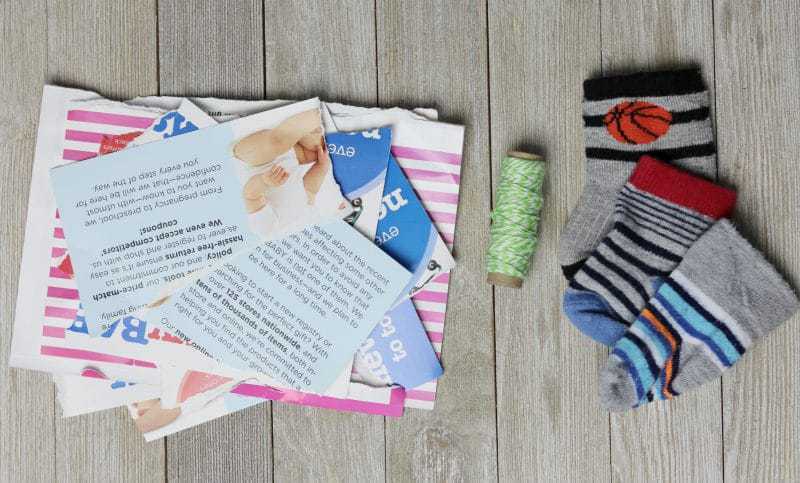 Start by gathering your supplies for this easy DIY. The thicker the paper you use is, the better. 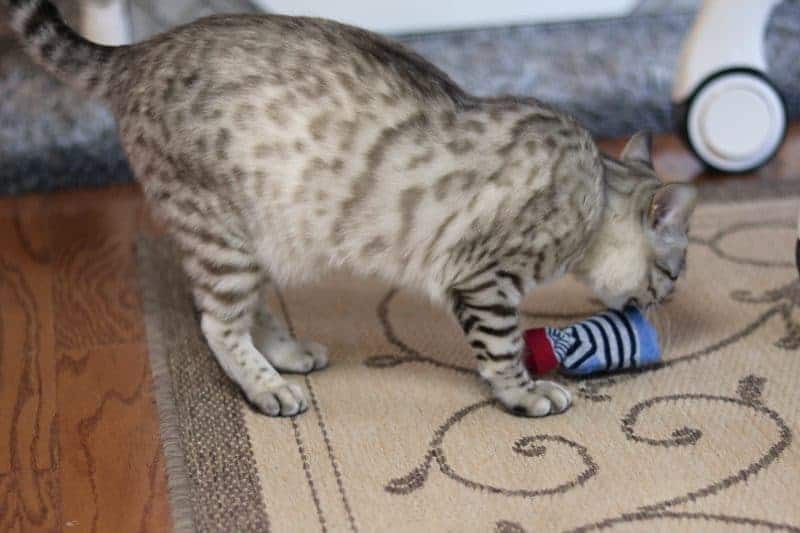 You want the toys to crinkle a bit when the cat swats at them. I used a couple cardstock advertisement mailers from our recycling pile. 1. Tear the paper into smaller pieces and crumble it up a bit. 2. 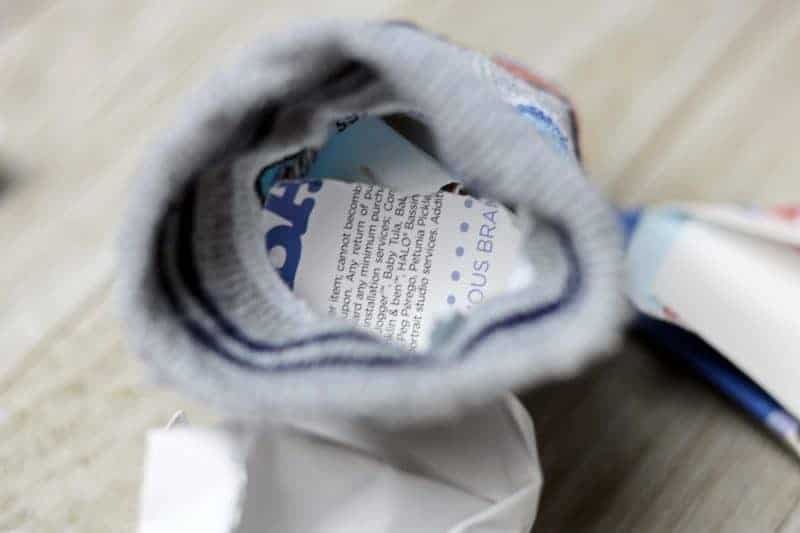 Stuff each baby sock with the crumpled up paper until it is about 2/3 of the way full. 3. Tie the end of the sock closed with a piece of string, and trim the ends so nothing is hanging. That is it. See, I told you it was super simple! Since these toys are so easy to make out of old items you have at home, they are great to make and donate to your local animal shelter. 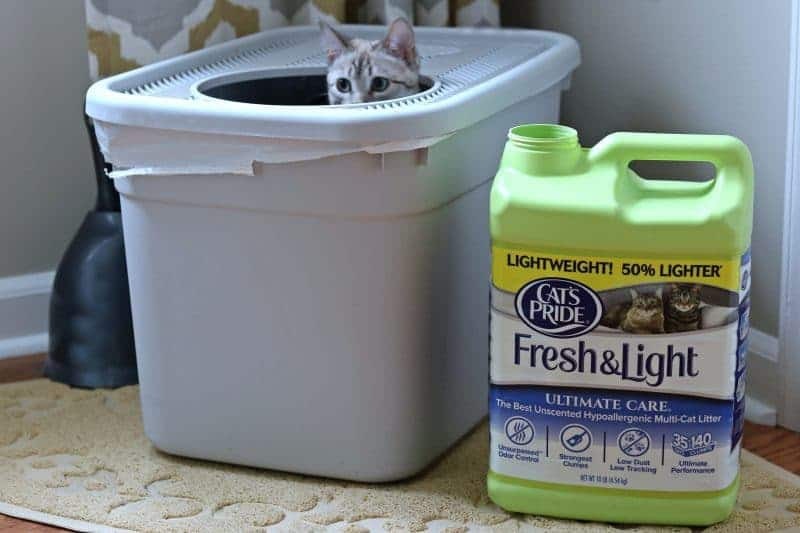 Don't forget, you can help support the Litter for Good initiative by using Cat's Pride litter at home because every jug purchased means another pound of litter gets donated to a shelter. Want to nominate your local shelter to receive a litter donation? Sign up for the Cat’s Pride® Club and nominate your favorite shelter to receive a donation. Plus, being a member of the Cat's Pride Club has additional benefits such as access to member-only coupons. Signing up really should be a no-brainer. This is such a great idea and so simple. This is genius! 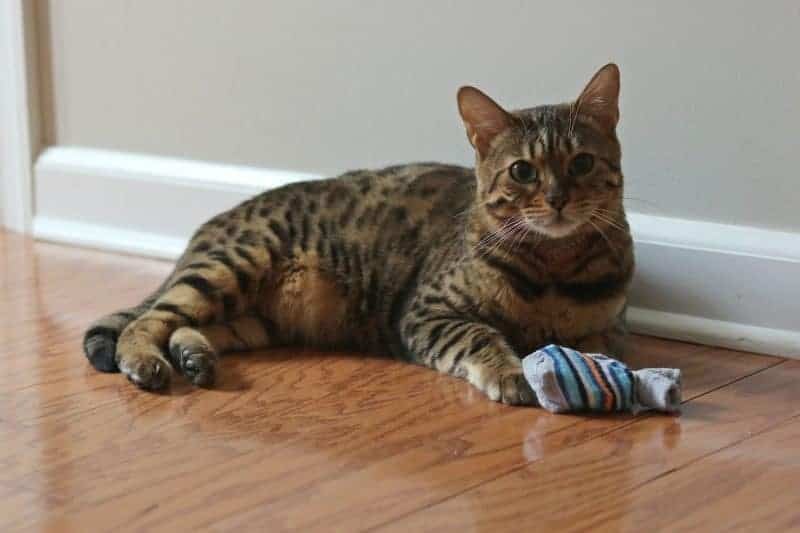 We adopted a cat last Summer and she loves finding my son’s dirty socks..now I hope if I have mismatches I can create some of these for her! So true what you said about cats not caring what their toys look like. They play with cotton balls or balls of tinfoil after all! I LOVE your lighter colored cat, so beautiful!